I always make this recipe when I have leftover ham. You can substitute any cheese you like or have on hand for the cheddar. Gruyere, Swiss or a blend of cheeses would all work. 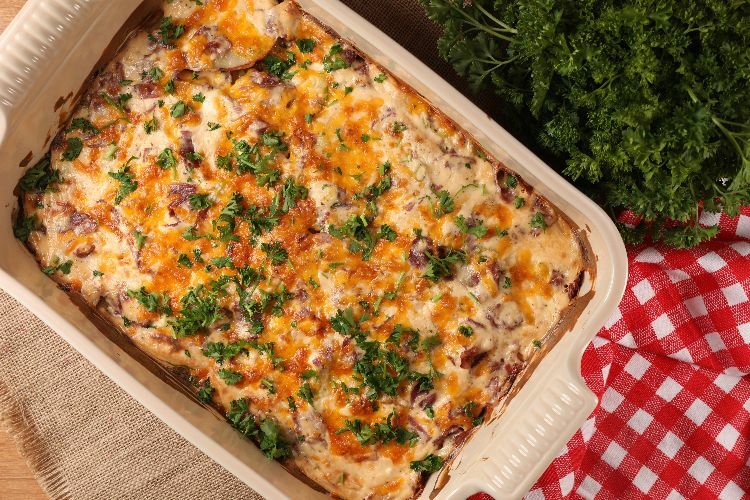 In a medium saucepan, combine the cream cheese, milk and half of the cheese and cook over medium heat, stirring constantly, until the mixture is hot and the cheese is melted, about 3 minutes. 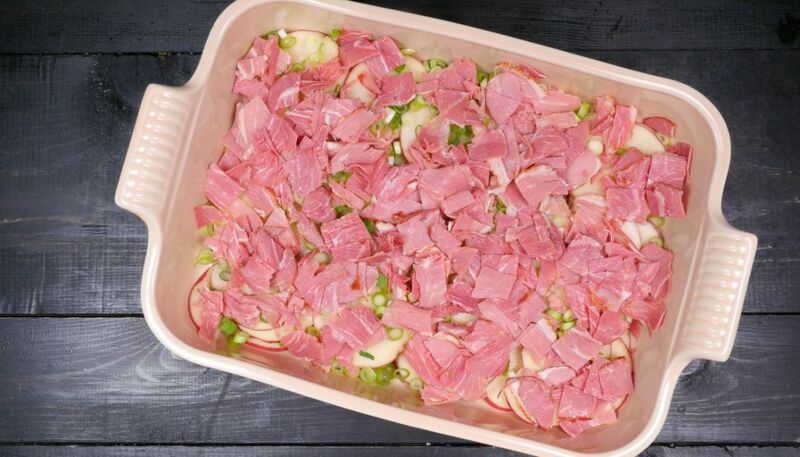 Arrange the potatoes in an even layer in a baking dish and sprinkle the green onions and ham on top. Pour the sauce over the top, cover with aluminum foil and bake for 45 minutes. Remove the foil and sprinkle the remaining cheese over the top. Bake, uncovered, until the cheese is melted and slightly browned and the sauce is bubbling.